I find it somewhat amusing that I started my classes for this semester the week that all my friends back home returned from spring break, a time that usually marks around the halfway point of spring semester. However, for me and my fellow CIEE students at East China Normal University, the academic year has scarcely just begun. As part of the program, we have two hours of Chinese language classes each day, followed by a three-hour long elective. While the afternoon block is pretty punishing, each elective only meets once a week so I have my afternoons free on Tuesdays and Thursdays until my 4 p.m. Business Chinese class, which is quickly becoming my favorite class. I’m one of three students discussing topics such as KFC’s Sinofication and shocking our professor with our stereotypically counter-intuitive lack of fast-food consumption. During orientation, one of the Chinese professors mocked American students who complained about the amount of homework and said that once classes started it was time for us to switch into “hard mode.” But to be honest, without the extra curricular commitments I’m used to at Georgetown, I’m finding myself with a surprising amount of free time. The first week I took advantage of the down time to open a Chinese bank account, which is a blessing because now I can use WeChat pay and don’t need to carry any cash, the first step toward my assimilation into the Shanghai culture. On Fridays, we don’t have class, so the first week the other Georgetown students and I took a 20 minute train to Suzhou for the day. 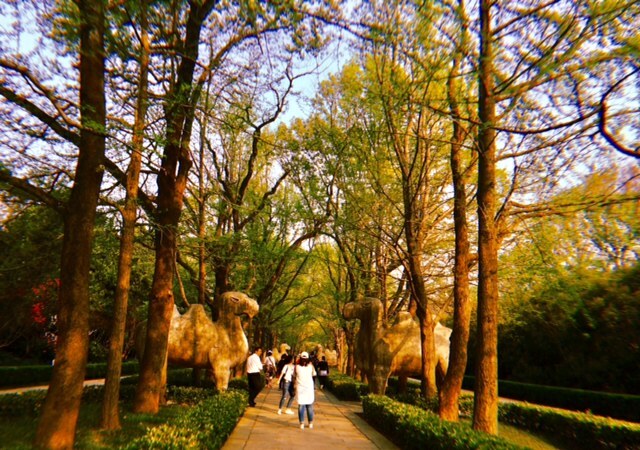 Suzhou is known for its traditional Chinese gardens, and it certainly did not disappoint. Getting to Suzhou was quite an adventure in and of itself— we had to pick up our tickets at the Shanghai railway station and the crazy line caused us to miss our first train by a minute. 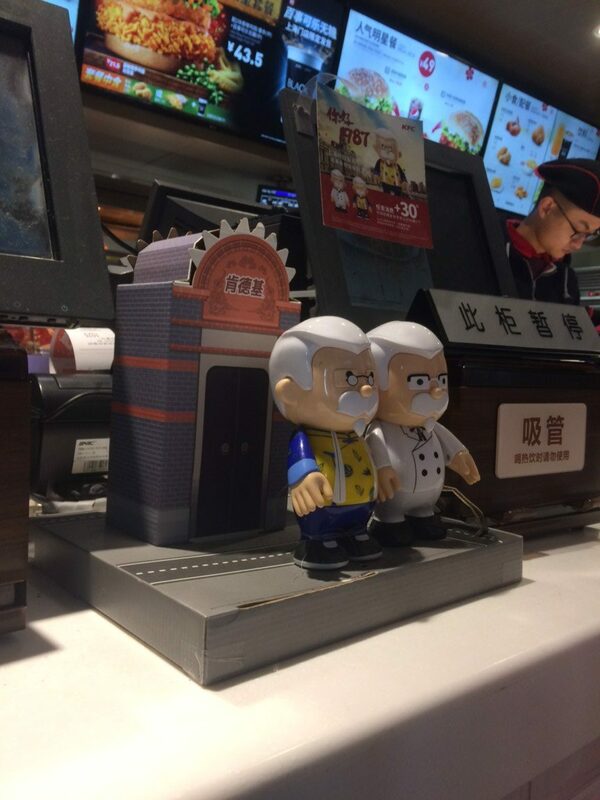 While waiting for the next train, we immersed ourselves in the traditional Chinese experience with a bite at KFC (hopefully my Business Chinese professor will be proud). 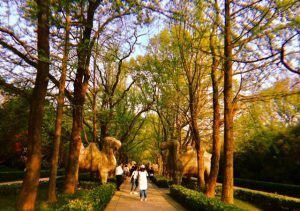 In Suzhou, we wandered empty alleyways to visit the Lion Grove Garden and the Humble Administrators garden, climbing in and out of porous rock formations and contemplating the views. To cap off our first month, CIEE (the organization running my study abroad program) took my classmates and I on weekend trips to big cities within our province. I ended up in Nanjing, a city just two hours west of Shanghai. Nanjing was previously the capitol of China, on several occasions; in English, the city’s name literally translates to South capitol. Throughout China’s history, Nanjing has borne witness to several key events, from the beginnings of Dr. Sun Yatsen’s revolution to the infamous Nanjing Massare. With a 7 A.M. departure time, we managed to pack a lot into two days, starting with Sun Yatsen’s mausoleum, followed by a monument honoring the Ming emperor who first set up Nanjing as the country’s capital. At night, we took a brief boat tour to admire the light installations up for the lantern festival. 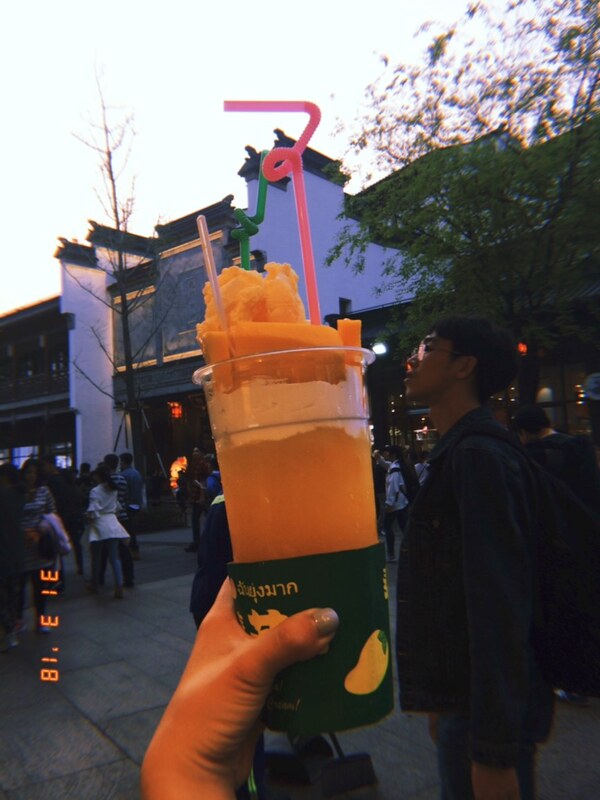 After a full day of walking, we treated ourselves to some local street food, culminating in this towering mango milkshake masterpiece with a layer of cream on top of fresh mango juice, topped with mango slices and one scoop each of mango and vanilla ice cream. If none of my post-grad plans pan out, catch me bringing these bad boys to the U.S.
Sunday morning, we soaked up the sun and heavy 污染 (pollution) at Xuan Wu lake, just across from our hotel, before hopping on our trusty tour bus over to the Nanjing Massacre memorial. In remembrance of the hundreds of thousands of Chinese who were raped and murdered at the hands of the Japanese in 1937, this museum was a profound and emotional experience. I’m constantly struck by the deeply personal and different ways that people decide to honor and remember tragedy. The memorial reminded me of the Holocaust museum in D.C.; in my opinion, both institutions effectively blend personal narrative, external media and historical context to convey the depth of the tragedy. Prior to coming to Shanghai, I knew very little about the massacre, so it was powerful to learn more about such a pivotal time in China’s history. Living in a country with such a long and complex history is sometimes slightly overwhelming. 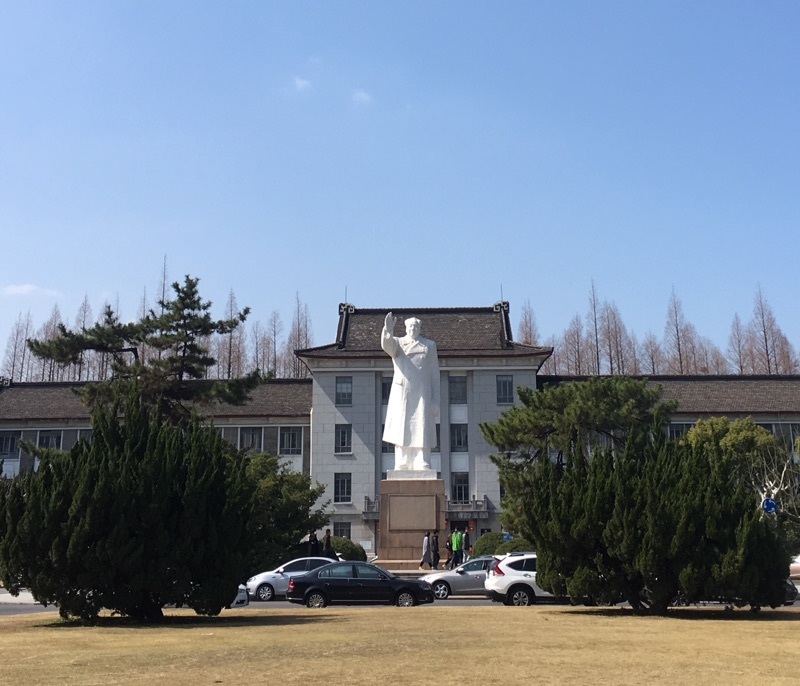 Every day as I bike to class, I pass a massive statue of Mao, regally reminding me that I’m actually in China. The first day, staring up at this stone behemoth I was in awe. Now, a month in, passing the statue feels natural, just another part of my new routine.